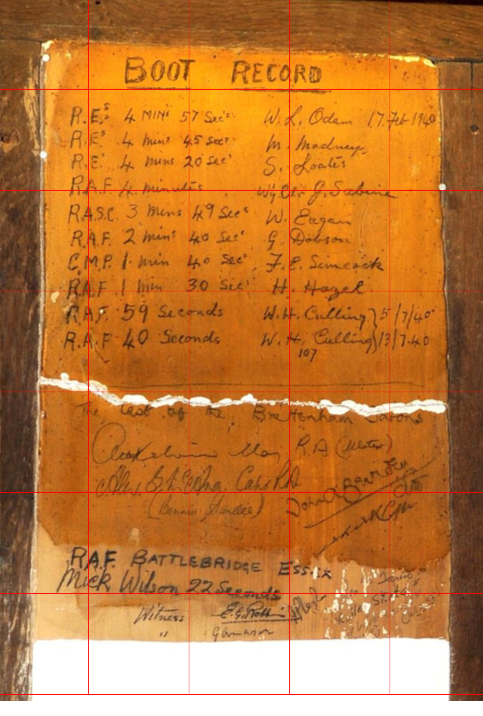 We’ve been working with the Swan at Lavenham, and the Stour Valley Archaeology group, to record and transcribe the wartime signatures preserved on the walls of the Airman’s Bar at the Swan Hotel. 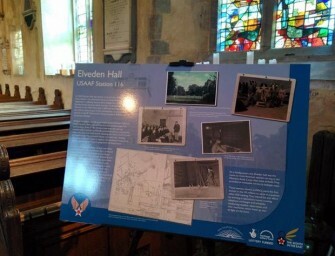 This process is enabling people to better trace relatives and understand more about those who served here during the war. 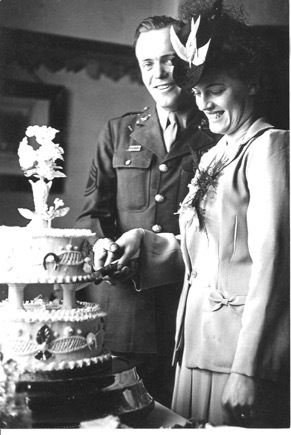 It will also ensure the signatures are available for historians in the future.We recently received correspondence from a veteran’s family and wanted to share with you their fantastic story, one that shows the true value of this work. Ann & Vic van Leeuwen, from Madison, Alabama, visited Lavenham airfield and the historic Swan in May 2016. Ann’s dad was a supply sergeant stationed at the airbase and the couple wanted to visit the base and the town to walk in his footsteps. Ann & Vic had dinner at the Swan and visited the Airman’s bar. They were thrilled to find both Ann’s dad’s and mum’s signatures on the wall. 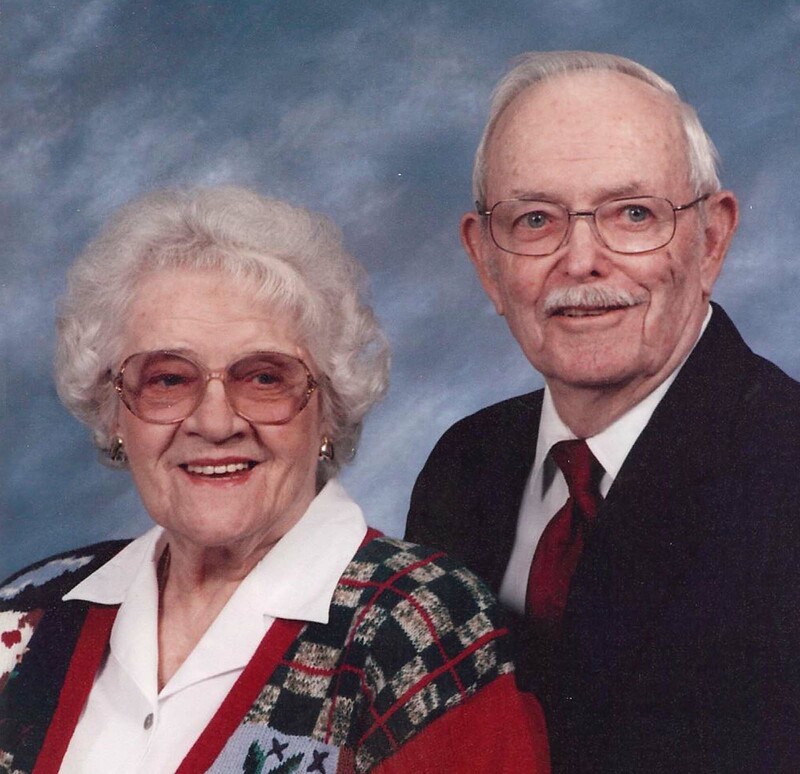 Dad had signed “OS Conerly” and mom signed her maiden name, “Doris Elwell”. 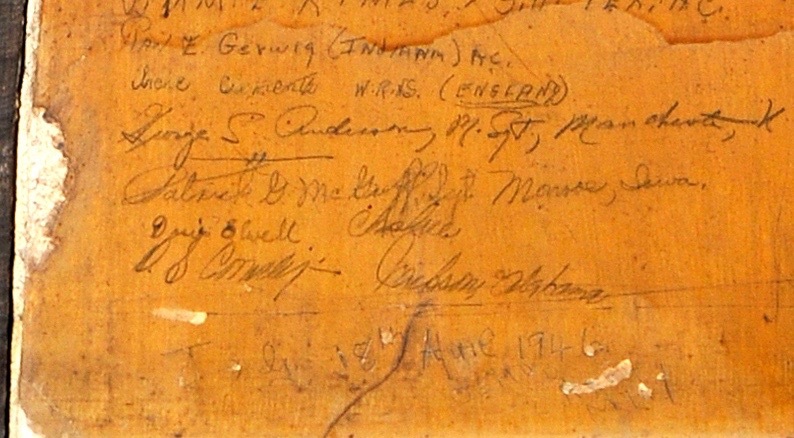 You can see their names towards the base of the image from our recording sheet below. 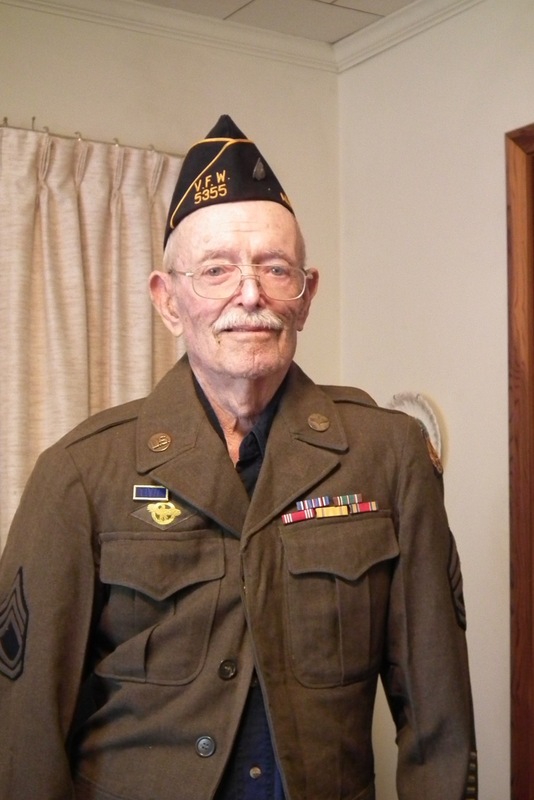 Dad’s still kicking, will be 97 next month and can still – um – kind of get in his uniform. When we got back and were able to talk at length with him, we found out a couple items that may be of interest to you. The Airman’s bar wall has a section marked “The Boot”. He remembered that there was a glass boot kept behind the bar in the Swan and a record was kept of the time needed to drain it. And,regarding ‘ Doris’ signature, Ann’s dad had forgotten that she had done that. The marriage was approved and they were married in her home town, Ellesmere Port near Chester. After a short honeymoon, they returned to Lavenham. Doris stayed at the Swan for a short period until they found a room nearby. But Ann’s dad doesn’t remember which town that it was in. Apparently things got moving rather quickly after that and Ann was born in December of 1945. She and Doris traveled over to the States on the Queen Mary in April of 1946. Upon arrival in NYC, they were put on a train which took them to Birmingham, Alabama where Ann’s dad, who had come back earlier and had been discharged, picked them up and drove them down to Jackson, Alabama. Jackson is about 60 mi. north of Mobile and the summer heat was awfully hard on Doris It’s hard to imagine what she went through having left the security of her family, home, familiar surroundings and much cooler weather for the heat, unknown relatives and unfamiliar environment. 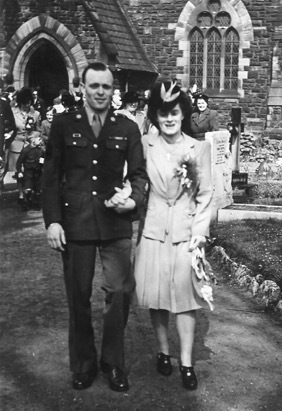 She, along with so many war brides, was quite the strong lady. They moved in with her husband’s parents where they lived until they built their own home in 1964. 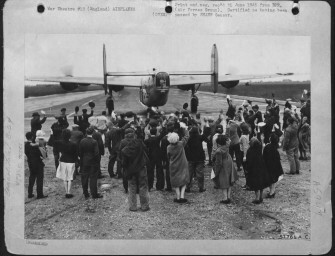 Ann & Vic would like to thank all of you for keeping the 487th’s history alive , along with the USAAF’s and RAF’s. Every signature on the wall of the Airman’s bar tells a story. 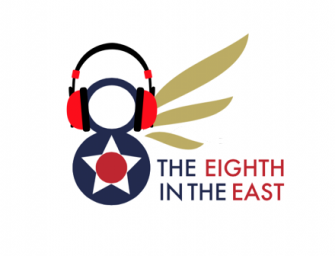 If you know of story related to the signatures in the Airman’s bar, or what to share something with the team, then please drop us a line! Delightful, Surprising, Eye - Opening. Giles Exhibition's a big hit!